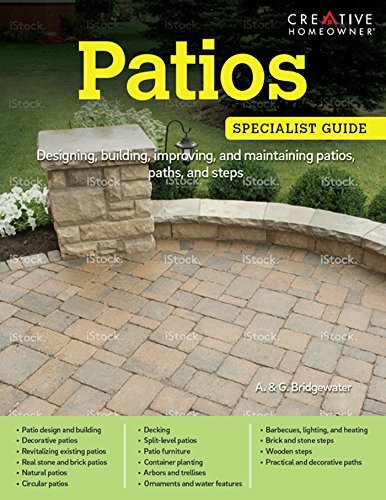 Patios is the essential guide to enhancing outdoor spaces with attractive patios, divisions, levels, seating areas, walkways, and more. From city backyards to country gardens, nothing adds distinction like a well-constructed patio. Here you’ll find advice, inspiration, and hundreds of achievable designs to develop the patio you’ve always wanted. Build a barbeque area, create a cozy nook, or restore an existing patio to its original elegance. This all-in-one reference is perfect for beginners and DIY enthusiasts alike.